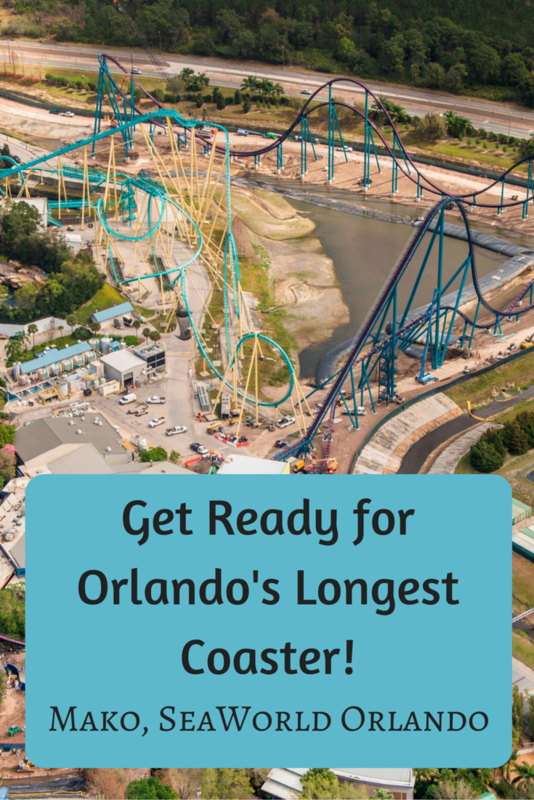 Footprint complete for Orlando’s Longest Coaster at SeaWorld Orlando! 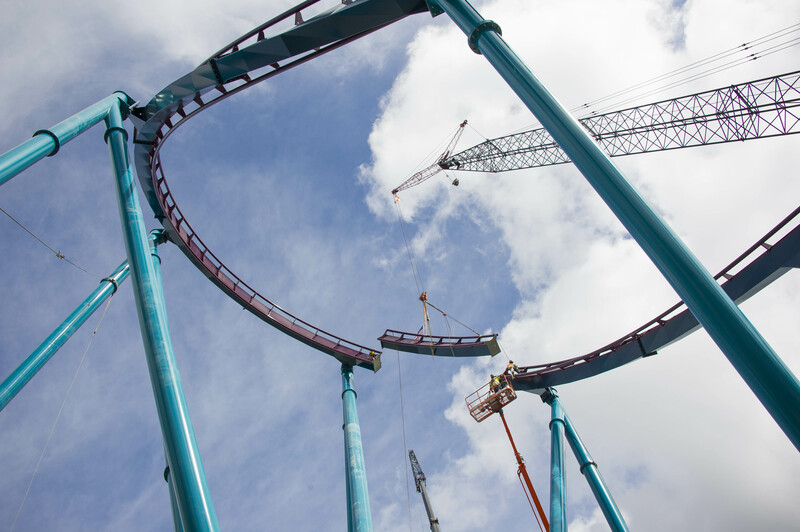 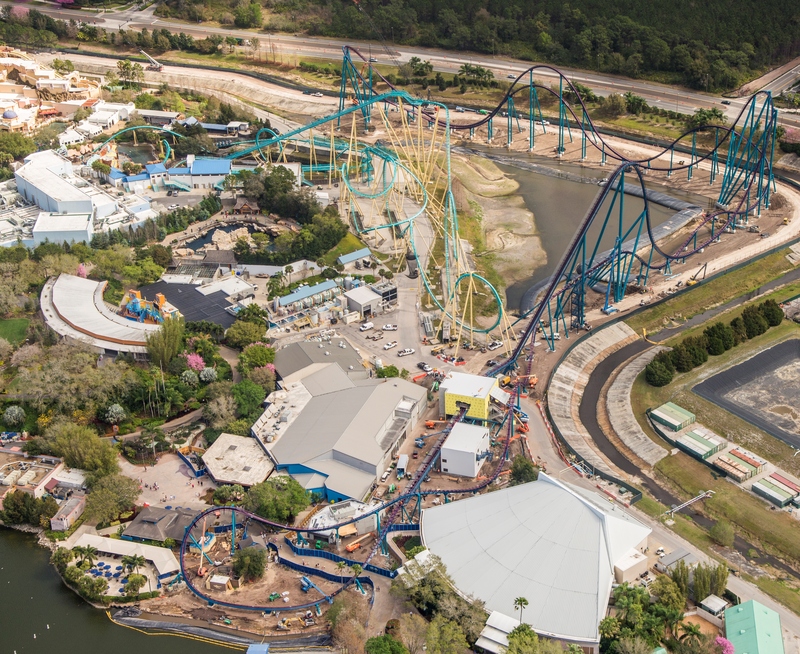 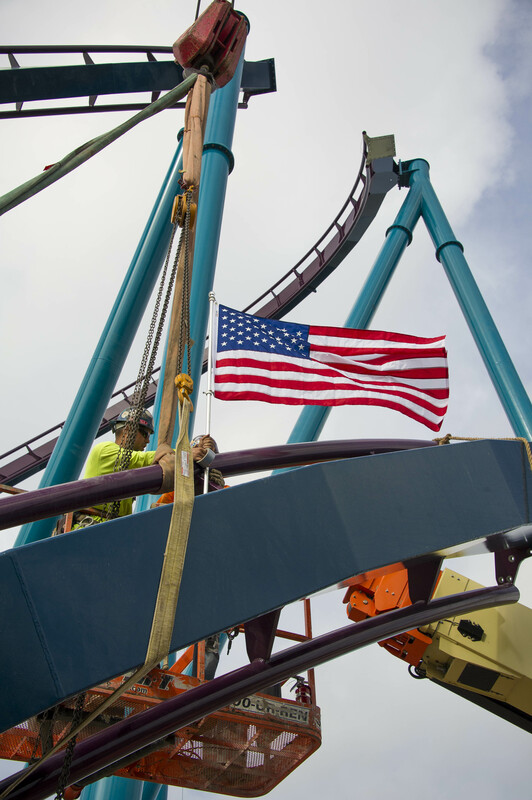 SeaWorld Orlando has installed the final piece of Mako’s nearly mile-long steel track – completing the footprint of what will be Orlando’s longest coaster (as well as fastest and tallest). 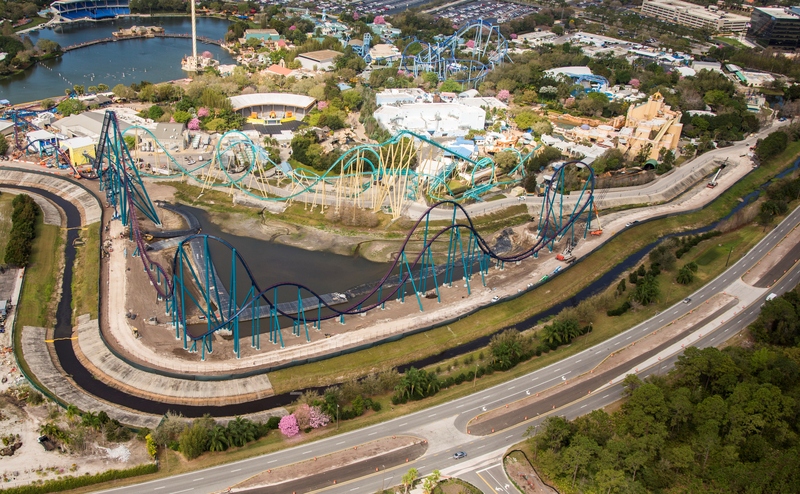 When Mako – a true hypercoaster – opens this summer, it will top 200 feet high and reach speeds of 73 mph. 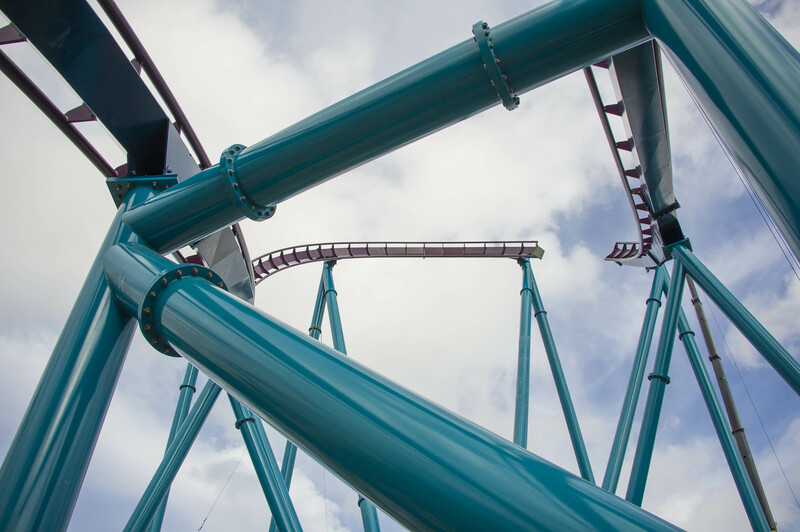 Riders will feel weightless as they reach the top of each hill.